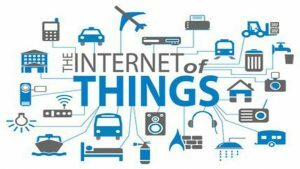 antennas and microchips and will be connected wirelessly to the Internet. 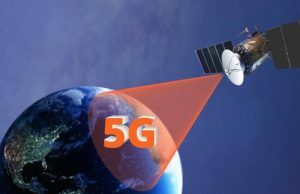 Every person on Earth will have instant access to super-high-speed, low-latency wireless communications from any point on the planet, even in rainforests, mid-ocean and the Antarctic. 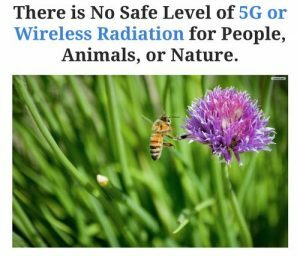 Even before 5G was proposed, dozens of petitions and appealsby international scientists, including the Freiburger Appeal signed by over 3,000 physicians, called for a halt to the expansion of wireless technology and a moratorium on new base stations. The WHO’s International Agency for Research on Cancer (IARC) concluded in 2011 that RF radiation of frequencies 30 kHz – 300 GHz are possibly carcinogenic to humans (Group 2B).However, recent evidence, including the latest studies on cell phone use and brain cancer risks, indicate that RF radiation is proven carcinogenic to humans and should now be classified as a “Group 1 carcinogen” along with tobacco smoke and asbestos. importance of the Schumann resonances and why ionospheric disturbances can alter blood pressure and melatonin and cause “cancer, reproductive, cardiac and neurological disease and death”. carry radiation-induced currents deep into the body. Another, potentially more serious error is that phased arrays are not ordinary antennas. When an ordinary electromagnetic field enters the body, it causes charges to move and currents to flow. But when extremely short electromagnetic pulses enter the body, something else happens: the moving charges themselves become little antennas that reradiate the electromagnetic field and send it deeper into the body. These reradiated waves are called Brillouin precursors. They become significant when either the power or the phase of the waves changes rapidly enough. 5G will probably satisfy both criteria. Current safety guidelines are based on the obsolete hypothesis that heating is the only harmful effect of EMFs. As Markov and Grigoriev have stated, “Today standards do not consider the real pollution of the environment with non-ionizing radiation”.Hundreds of scientists, including many signatories to this appeal, have proven that many different kinds of acute and chronic illnesses and injuries are caused without heating (“non-thermal effect”) from radiation levels far below international guidelines.9 Biological effects occur even at near-zero power levels. Effects that have been found at 0.02 picowatts (trillionths of a watt) per square centimetre or less include altered genetic structure in E. coli and in rats, altered EEG in humans,growth stimulation in bean plants, and stimulation of ovulation in chickens. 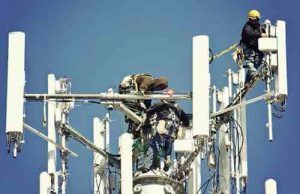 specific limits on electromagnetic field (EMF) emissions and of the methods required to aggregate them”. Conflicts of interest have frequently arisen in the past. For example, the EU Commission (2008/721/EC) appointed industry-supportive members for SCENIHR who submitted to the EU a misleading SCENIHR report on health risks, which gave the telecommunications industry carte blanche to irradiate EU citizens. The report is now quoted by radiation safety agencies in the EU. Another example is the US National Toxicology Program contracting with the IT’IS Foundation, which is funded by the entire telecommunications industry, to design, build and monitor the exposure facility for a two-year, 25-million-US-dollar study of cell phones. It subsequently produced a misleading reportthat is now quoted by industry officials in the US.